Inspired by Girards effortless use of color and pattern, we wanted to highlight some of his textile and graphic work that is still sold today in a variety of mediums and products. Girard was born in New York City, but was raised and studied architecture in Italy. 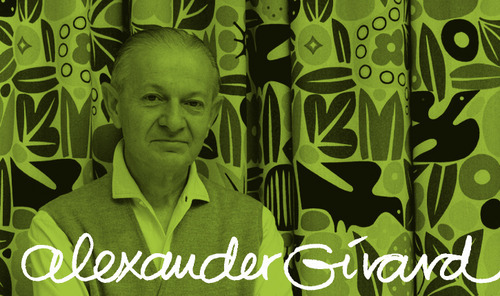 In 1952, Girard was hired as head of the Herman Miller Company's fabric and textile division where he produced many prints inspired by basic geometric shapes and folk art. Girard created a series of wooden dolls for his home in 1963. This collection is now held by the Vitra Design Museum where they were able to reproduce this collection.